Emdogain contains a group of proteins that is applied directly to the tooth root. 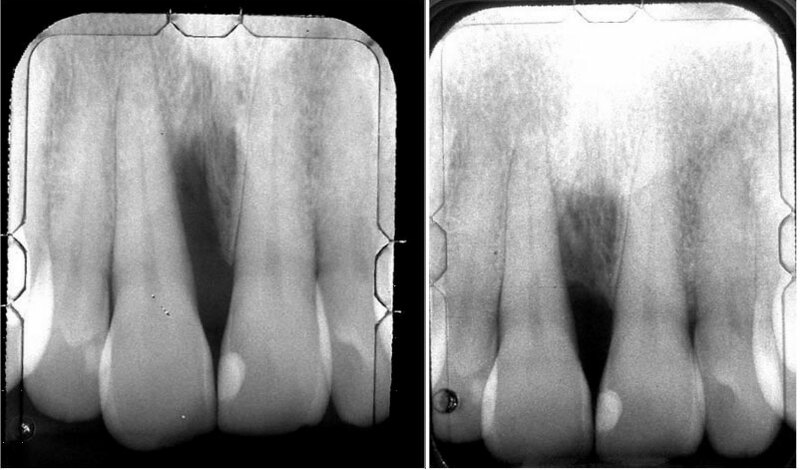 These enamel matrix proteins are what helped your teeth form when you were a child. Your body recognizes the proteins and again begins to form the tissue fibers that anchor your teeth. Emdogain not only helps to promote the reformation of tooth attachment fibers upon application, but it also continues the development of new attachment for up to one year. 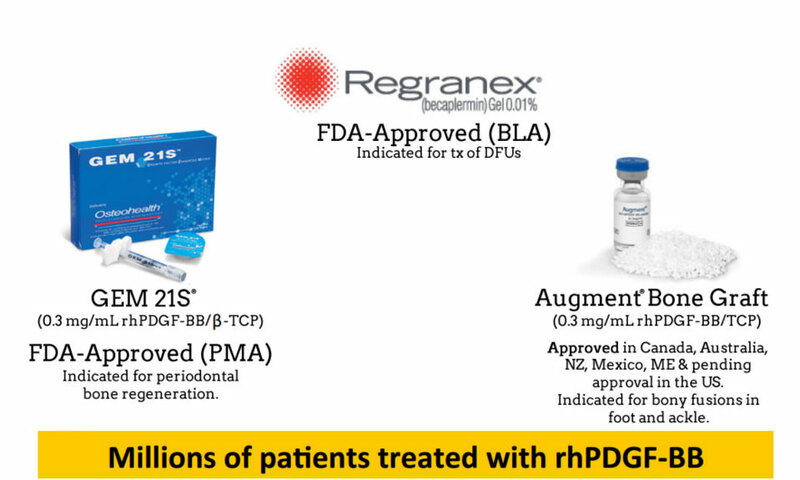 Recombinent Human Platelet Derived Growth Factor was developed utilizing innovative tissue engineering principles which combine a bioactive protein (highly purified recombinant human platelet-derived growth factor, rhPDGF-BB) with an osteoconductive matrix (beta tricalcium phosphate, β-TCP). This completely synthetic grafting system is engineered to stimulate wound healing and bone regeneration by triggering a cascade of molecular events when implanted into the body that continues on even after the implanted PDGF is gone.